Stainless steel cleaner and polish. Dust, polishes, and shines in one simple step. Unique dust-blocking, no wax formula is designed to be used directly on surfaces as well as with cloths and mitts. 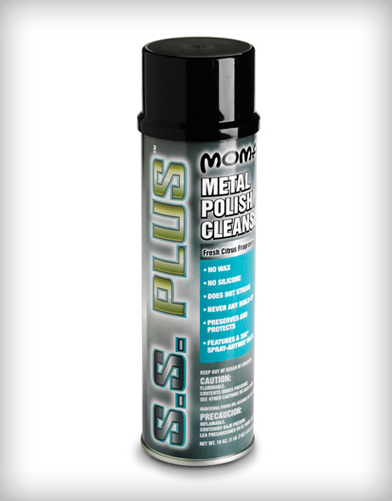 Perfect for all hard surfaces including diamond plate, brass, chrome, aluminum, copper, wood, plastic, laminate, and marble.